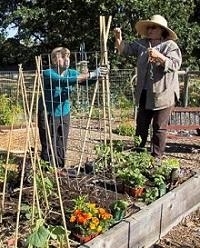 Master Gardeners Susan Shaw and Kathy Matonak construct teepees for vertical gardening in a demonstration bed. 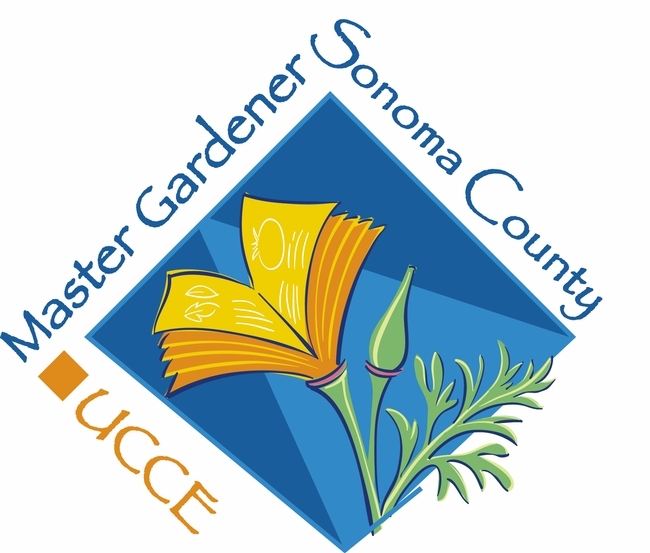 The Food Gardening Specialists (FGS) of the UCCE Sonoma Master Gardeners are excited to present water-wise food gardening strategies.Given our hot, dry summers along with the prediction of extended drought, we can't afford to waste a drop. This video demonstrates how home and community gardeners can grow a thriving vegetable garden with less water. 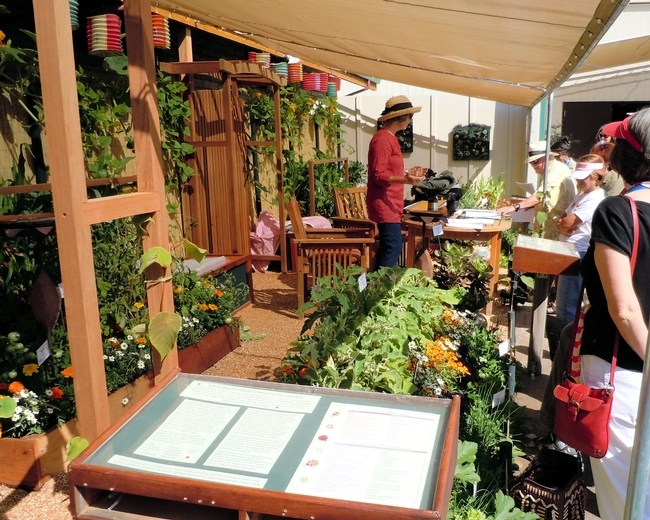 In addition, this video is complemented by a planting scheme and a drip system instruction and shopping list that reflects the 4x8-foot demonstration vegetable bed in the video. For people wondering if they can have a food garden with limited available water, the Food Gardening Specialists (FGS) of the UCCE Sonoma Master Gardeners believe that the answer is, “Yes!” All you need to do is to scale planting to your family's likes and needs and to apply water-wise strategies to your vegetable garden. 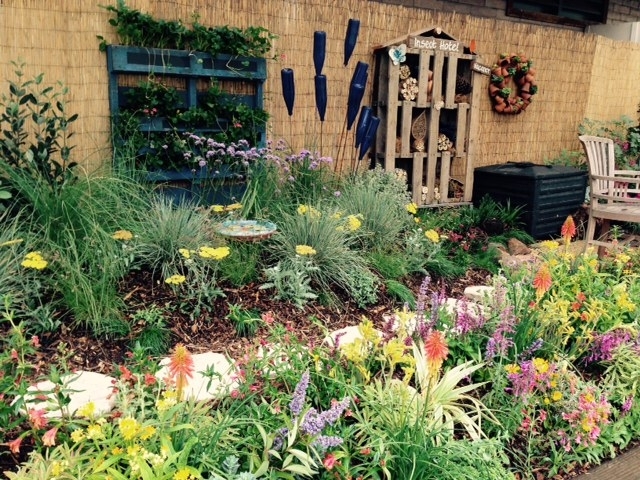 The video, along with helpful water-wise publications, is available for viewing on the SCMG website: Food Gardening with Less Water. 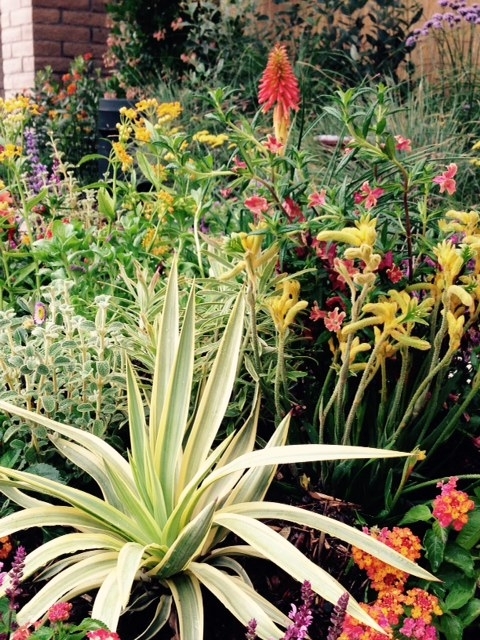 You CAN have a bountiful, water-wise vegetable garden in a drought! 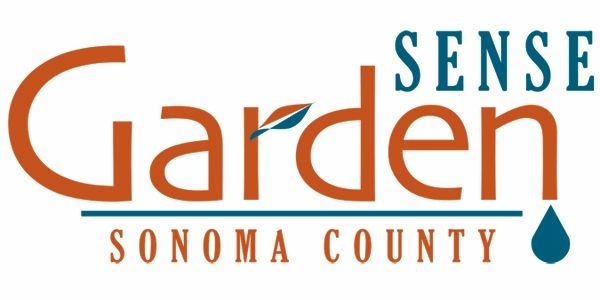 The annual Sonoma County Fair is upon us and the Sonoma County Master Gardeners are participating with their Demonstration Garden. This will be the 16th year that SCMG has participated in the county fair. Their booth will be once again located on the outdoor patio south of the famous Hall of Flowers. 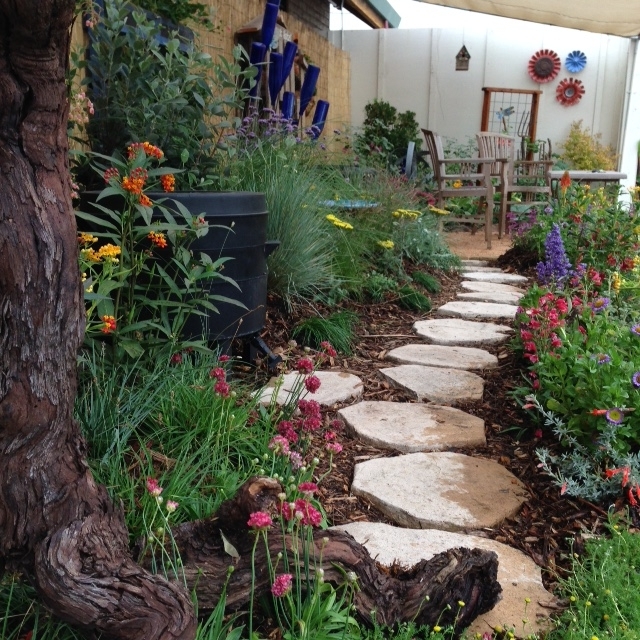 The primary focus is on water wise gardening, including drought tolerant plants, drought tolerant raised bed vegetable and herb gardening, permeable hardscape, and blending in the fairs 60's theme. We will be incorporating a vermiculture and compost bin as well as a rain catchment system. 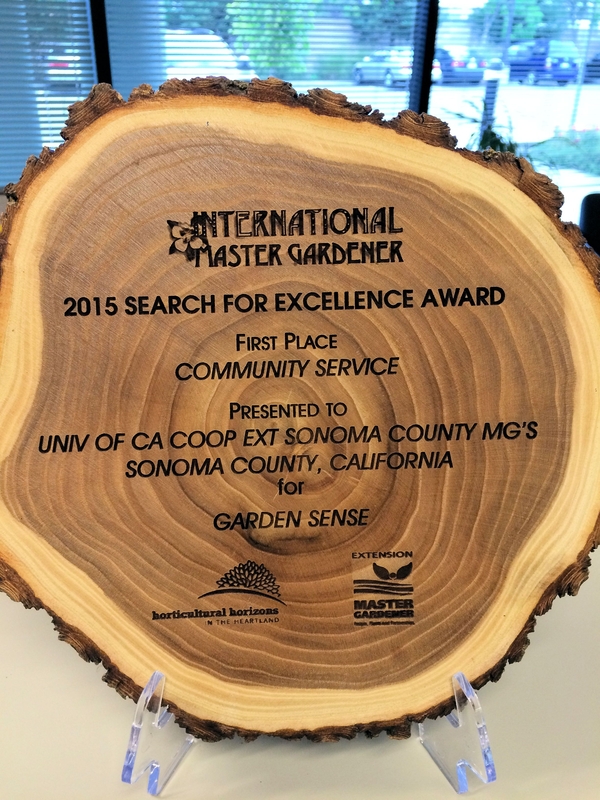 The Sonoma County Master Gardeners Food Gardening Specialists will also be on hand to disseminate information. 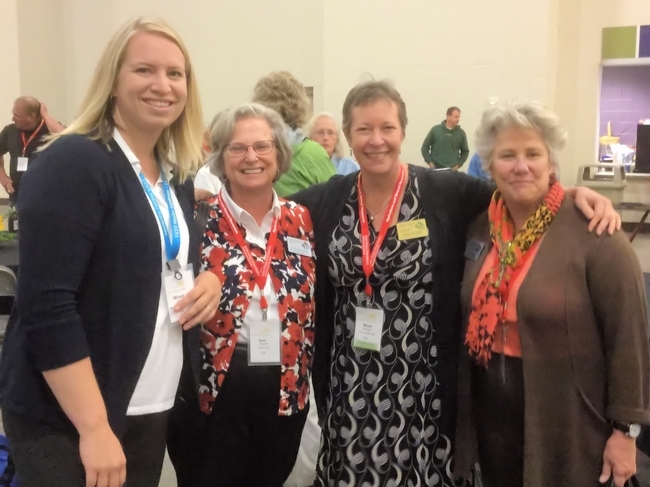 Master Gardener docents will be available on-site from 11 a.m. until 6 p.m.